Ah, classic literature, I’ve loved it since 9th grade when my beloved English teacher (“Mama B,” we called her) got me hooked. Today is my birthday, so I’m especially grateful to Charley @ BooksAndBakes for giving me this opportunity to walk down Classic Book Memory Lane by tapping me for this Classic Books tag. Here goes. . . Anything by Ernest Hemingway (except The Old Man and the Sea). His sparse writing style and testosterone-fueled navel-gazing just doesn’t suit me. 1800s England–thanks in no small part to Jane Austen, the Bronte sisters, and Charles Dickens. I’m having a conniption trying to limit myself to one favorite fairy tale. Fairy tales are life! How to choose? I’ll compromise and say my favorite is any fairy tale with a princess in it. Wait, then there’s Jack and the Beanstalk. But that’s not my favorite. Hansel and Gretel? Rumpelstiltskin? No, how about anything by the Brothers Grimm? Does Peter Pan count as a fairy tale? Alright…I’ll go with Cinderella. Yes, I love the magic and how the good-hearted, mistreated girl gets her comeuppance. I am not proud to admit I’ve never read a Shakespearen play in its entirety. I’ve seen Shakespearean plays–does that count? Yes, that is six, which is five in book junkie terms. A Thousand Acres by Jane Smiley (a modern retelling of King Lear). Not that I looooved A Thousand Acres, but it’s the only retelling of a classic book I’ve read that comes to mind. 1. To Kill a Mockingbird (1962). Watching this movie honestly felt like seeing the book come to life. 2. Sense and Sensibility (1995)starring Emma Thompson and Kate Winslet, screenplay by Emma Thompson, directed by Ang Lee. Loved it! A classic novel that made a big impression on me emotionally was The Scarlet Letter by Nathanial Hawthorne. Unfortunately, the movie adaptation with Demi Moore (who I’ve liked in other films) didn’t do the story justice. I’m not gonna lie, I do not understand this question. 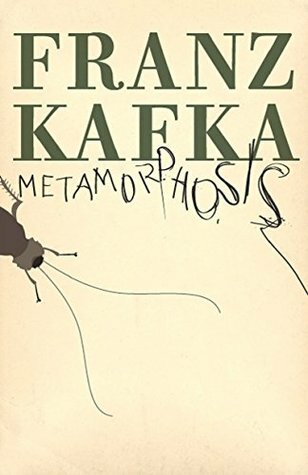 The Metamorphosis by Franz Kafka. It’s weird in the best way and masterfully written. I think this question – Favorite edition(s) you would like to collect more classics from – is just asking for what book you would like the most in what edition type/ year? Maybe? I got the First Folio to A Midsummer Night’s Dream (got that for Christmas a few years ago). Speaking of Shakespeare. I have heard that hearing someone read Shakespeare’s plays aloud to you is best way in reading his plays. So if you want to count seeing a performance, I won’t judge. Yes the First Folio (a copy of the original) is a great edition to my collection. Thanks for tagging me! I have so many tags to do lol.. The Road is very dark. I read it a few years ago, and parts of it are still fresh in my mind. It’s a hard book to forget–even when you want to. Yeah, I’ve heard it’s pretty bleak, but I’m strangely tempted anyway. Is it going to send me into a depression, Mary Cathleen? I surmise you know it takes place after a nuclear war. It was written so realistically I could see it, and once seen, it couldn’t be unseen. I think it was an excellent book, but if seeing the worst side of humanity would be depressing, you may think twice before reading it. Hmmm, the “worst side of humanity” part does give me pause. I Might have to wait on this one. Great! I can’t wait to read your answers. Thanks for sharing. I love the classics, although I have to admit, I haven’t read as many as I would have liked to, but I’m planning on reading more. I’ve read quite a few this school year with my homeschool high school senior. We’ve enjoyed most of the ones we’ve read this year so far, and we have time for a couple more. I’ve always been a Dickens fan. I also have loved Shakespeare since the 9th grade when my English teacher, Mrs. Schreiber, had us study quite a few of his works and made it fun. Happy belated birthday, Eve! There are a lot of classics I haven’t read either, but Shakespeare was always required reading in school – and I actually really loved reading his plays. Definitely recommend!